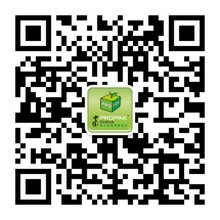 A series of technical forums were held along with ProPak China 2018. Senior experts and end users from different sectors were invited to give views and share experiences on the new technology applications and process improvements. AIPIA Summit China 2018 invited authoritative experts and leading companies in packaging from AIPIA, JFPA, Stora Enso, HP, Evrythng, Alpha Assembly, ATT, FPInnovations, Otago to share updated information on active packaging, printing electronics, intelligent packaging and anti-counterfeiting labels. This forum is sponsored by China National Food Industry Association), was a brainstorm on green cold chain sharing logistics service developed by e-commerce companies. Experts from Air Liquide, CAG, E-JLT, NBL Logistics, TM Logistics shared views on future development. In this symposium, senior executives of packaging development from Bemis, Chuang Yuan Cosmetics, Kraft Heinz, Starbucks, Selig, Tyson Foods discussed hot topics such as sustainable and creative packaging, packaging box sharing. At the conference, the representatives of Coca Cola, Suntory, Shanghai Beverage Association, Shanghai Institute of Quality Inspection and Technical Research discussed beverage package innovation, food labelling laws and case study. At the seminar, Kuka, QKM, Step Electric and Triowin shared cases of applying robots in the packaging industry and discussed future prospects of smart packaging. It provided a one-to-one matchmaking service on site so as to precisely meet buyers’ demands for processing and packaging.